It's that time again, North American gamers, for the Nintendo Download Update details. This week brings a Wii U exclusive that makes interesting use of the GamePad, major retail releases on the New Nintendo 3DS XL and wider 3DS 'family', more free-to-play Pokémon on 3DS, some DS treats on Wii U and more options besides. Let's get to the details, shall we? Missed the European Nintendo Download Update details earlier in the week? Oh dear, what have you done! Don't sweat it, the information you need is right here. Affordable Space Adventures (KnapNok Games, $19.99) - A collaboration between KnapNok Games and Nifflas, this Wii U exclusive makes full use of the GamePad for intuitive controls in which you both fly and manage a spaceship's complex systems. Well suited to solo play or co-op for up to three players, this title oozes quality and care from the developers, with an atmospheric and challenging puzzle adventure on offer. We gave this a strong recommendation in our Affordable Space Adventures review. WarioWare: Touched! (Nintendo, $9.99) - The chaotic DS mini-game bonanza arrives in North America, bringing its blend of rapid-fire minigames that put the touchscreen and microphone of the GamePad to work. We gave this a solid recommendation in our recent WarioWare: Touched! review. Yoshi Touch & Go (Nintendo, $9.99) - An early DS game, this went all out to incorporate the Yoshi's Island style with the (at the time) unique inputs of the dual screened system. You use the stylus and microphone to tap, draw and blow in order to guide Yoshi and Baby Mario through each stage. We gave this a modest recommendation in our original Yoshi Touch & Go review, and will take another look on Wii U.
Xenoblade Chronicles 3D (Nintendo, $39.99) - The first release exclusive to the New Nintendo 3DS, the impressive Wii RPG from Monolith Soft is brought across to the portable by Monster Games. It's a technical marvel to see this adventure on a small screen, and this is an experience that's demanding yet rewarding, with daunting depth and a campaign that requires dozens of hours to complete. We were very impressed in our Xenoblade Chronicles 3D review, describing it as "the biggest world we've experienced on such small screens." Available from 10th April. Pokémon Rumble World (The Pokémon Company, free) - The latest free-to-play experiment arrives for this latest entry in the relatively simplistic 'mon brawling series, in this case including small toy versions of every 'mon (and Mega Evolution) seen in the main series so far. It'll be interesting to see how the mechanics of free-to-play and microtransactions come together in this one, and we'll bring you a review soon. Runny Egg (Tom Create, $1.99) - This is about an egg that runs, which explains why it's called Runny Egg. A fast-paced runner / platformer, you dash through stages as fast as possible while levelling up your egg, grabbing chicks for a power-up and - it seems - even tackling the occasional boss. Will it be egg-cellent, egg-citing and egg-ceptional, or a bit rotten? Come back for more questionable egg-based wordplay in our review. Etrian Mystery Dungeon (Atlus, $39.99) - This mash-up of the Etrian Odyssey and Mystery Dungeon franchises is the latest top-notch RPG experience from Atlus, in this case combining party-based gameplay with randomly generated dungeons to tackle. We gave this a strong recommendation in our comprehensive Etrian Mystery Dungeon review; in addition, five pieces of DLC are available for free until 5th May. More discount details will also be updated on the official eShop offers page. That's the lot for this week in North America. Let us know what you plan to download in the poll and comments below. Aww I thought DK 64 was coming this week. I already downloaded Etrian Mystery Dungeon and will be getting Xenoblade tonight. Watch_Dogs is almost tempting at that price. Almost. Affordable Space Adventures! Yeah! And like always there will be like people saying this is a bad week again like always. But hey Watch Dogs got a cut,still not enough tho to make me by the port. @ShockeyRai Gotcha. Can't wait to delve into Xenoblade tomorrow. Is it just me or has Xenoblade Chronicles 3D received more press than the Wii version did? Nothing for me since I still don't have a New XL. Will be buying XC3D retail and maybe some other games. Might get Etrian Mystery Dungeon but not sure if it's my kind of game. These Xenoblade home themes aren't free, are they? I know, right? But I can't shake the feeling it's going to hit under $20 sooner than later and should wait. I wish we got DK64 this week like everyone else. Oh well. Busy with other stuff anyway. Is that confirmed somewhere? I was really looking forward to it, never played it originally. Oh well. WarioWare and Touch & Go are great games too. Eh, I'm just not excited about these DS games coming to the Wii U. I'd really rather have any other platform on the Wii U rather than DS. Even Gameboy. Yoshi Touch & Go is a stone cold DS classic. just Pokemon, it's free so I'll try it. Made the Mistake of putting $100 on my new 3ds when I got it a couple of weeks ago. It's still there waiting to be spent. @rdrunner1178 The Nintendo Direct said April 16th for Donkey Kong 64. No 3DS VC once again. Lame! I enjoyed it. I didn't play it on the other systems, I grabbed the retail copy of it when it finally came out, so not sure how it compares to those versions. Some really good games coming out this week. For now, I'm not buying anything until I see what the Club Nintendo replacement is. People better put their money where their mouth is and get Affordable Space Adventures. We need more exclusives like this on WiiU. So far just the free Pokemon for me. I can't see myself playing it a lot though. It seems very shallow so far. I will be picking up a new 3DS game tomorrow though. I just need to make up my mind first. I'll get Affordable Space Adventures at some point but not now. I have too much backlog on the Wii U. @gsmaciel I don't think so, probably $1.99, NoA didn't explicitly state the prices. Awesome. I missed that. Thanks! Definitely grabbing Affordable Space Adventures. Nice Watch_Dogs sale. Between GTA V and Far Cry 4, I'll be OK without it for a while. Yes, I'm dl'ing Xenoblade. Still have over 200k left on my memory. I'll Aslo get at least one of those themes. Since it's free I guess I'll be trying out the new Pokemon Rumble. Get Affordable Space Adventures if it looks like something you're interested in! Great game. I've been playing quite a bit of Rumble World but I'll definitely be getting both DS Virtual Console games. I'll get Xenoblade but not this week. What size card do you have? I have a 8GB but I have 4 full size retail games already on it. I know I have a lot of space but I don't know if I have enough for either Xenoblade or MH4. Does anyone know of a site that list games and how many blocks are required for downloading? I found one site but it's like two years outdated. Rather slim pickings this week, but whatever, AFFORDABLE SPACE ADVENTURES. Been spending more money on themes for the 3DS lately. I guess I'm a sucker. Just noticed Affordable Space Adventures can be 3 player, too? Can't wait to try it out! @dkxcalibur 64gb. At the rate I'm going I'll need a 128gb by some time next year. I'm holding out only because I think the releases will slow way down come next year. Also if you check in the upper right corner of most reviews on this site you will see a block size most of the time. Well, itS gonna be Tetrobot & Co for me! Really good discount, such great game! 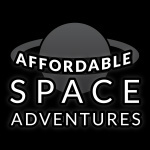 Affordable Space Adventures has had a lot of hype, still haven't seen any reviews yet. Really was hoping DK64 was out this week. Watch Dogs still needs to come down $15 more for me to purchase. I'll be getting Xenoblade at retail. Pokemon Rumble World seems to be the better structured of the two F2P Pokemon games. Watch_dogs is still $20 too expensive. @WebHead @ShockeyRai I really don't know why it is another weeks wait but I am eagerly awaiting its arrival too. AFAS for me, although I am not picking it up right away. @OneBagTravel there is a link to nintendo life's review in this article silly. @OneBagTravel Go on MetaCritic, there's some there, NinLife has already done one as well. I thought Affordable Space Adventures was called that because it was going to be a little more "affordable" (seriously, I thought it was a $1.99 release and had budget price built into the name). Oh well, for $20 I'll bite. Not too excited for the DS releases, but I'll buy them nonetheless since I wanna try out DS games on Wii U.
Xenoblade is arriving today in the mail, a day before it's actually released. Thanks for the suggestion, I might pick up a retail copy though. Don't like the idea of paying the same price for something that doesnt have the same cost to produce. Getting Wario. Not sold on ASA. And Tetrobot is an absolute steal at that price. Heck, it is an steal at the normal price! Pokemon Rumble World is great. They also have specials for gems, and I just started so I'm not sure, but you get a ridiculous amount of gems for what you can use them for early-game for not a lot of money. @faint : I hope so. THOSE XENOBLADE THEMES WILL BE MINE!!! Also, I got a physical copy of Xenoblade 3D coming in the mail. Don't have a New 3DS yet, but I figured I'd like to be able to play Xenoblade the moment I get a New 3DS. Is "Yoshi Touch And Go" A Sequel To "Yoshi Island DS" or a spin-off to the Yoshi series? nnnnng, I need to decide between Xenoblade, Monster Hunter 4U, and Codename STEAM. I want to play all three, but I don't have the time or budget. it's a spin-off, and it's decent, but not worth that price tag. they mean it when they say 15 minutes of play in their review. Last week we got Yoshi's Island on Virtual Console. This week we got Yoshi's Island on Virtual Console. I'm bored with their choices already. I won't be downloading it, but I'll be getting Xenoblade 3D (in physical form). So, just Pokémon Rumble World for me, this week. @Giygas_95 lol I don't have one either, but I will soon can't wait to play it! @rdrunner1178 I hear the driving sections and car chases seem sluggish, which feels like a deal breaker in this type of game. @Captain_Gonru : Yup, I'm surprised so few seem to be mentioning the lack of a reward/incentive program. Hopefully, when/if they establish it, I'll be making all my purchases then. To me, as a consumer, that makes a lot more sense. Getting Etrian MD and Xenoblade at retail, so it's just a home theme for me! Might pick up Boxboy, though... Already DLed Pokémon's latest 'free'-to-play and am disgusted by the mobile approach, so will likely delete it shortly. Might have to give WarioWare and Yoshi Touch & Go a try. Nothing this week. There are plenty of games coming out in the coming months that are on my radar - plus I'm saving for a New 3DS. still no zero mission huh? also, just noticed, there is absolutely nothing star fox on the wiiU.. what's up with that? I'll probably get ASA. No 3ds VC again. Seems it's full speed ahead on DS VC when we still don't have several GBA titles. Sometimes, I think Don Knotts is running NOA from beyond the grave. @Zach I went for it and bought a physical copy a month ago. I think the game is very enjoyable if you're able to look beyond the crappy graphics. Xenoblade, WarioWare, and Pokemon Rumble for me! This is gonna be a good week. @sinalefa Tetrobot huh? I'll bite for $3. Thanks for the heads-up. Feel like a kid waiting on Xenoblade. Love that game. For those who haven't tried it, Watch Dogs is a fun game (though nothing outstanding and yes it could've been so much better on Wii U). Understandable for those who waited and 30 bucks off is a great deal. I'd say it's worth it at that price. The online is pretty fun too though there's no free roam. A good alternative to Black Flag. Wario Ware Touched was my first DS game, and I still have it, but I want to see what's the DS VC like, so I'll get that one. It's a great game anyway. Can't really get Xeno Chron until next week but it will be my next downloaded game, fo sho. @BinaryFragger I grew up playing games since the nes. I guess that makes me ancient. I don't own gb,gba,nes,snes, or gg anymore,so I enjoy playing games I haven't picked up in years. I'm not a developer and don't know how to create a game, but i'd imagine it takes very little resources to emulate roms on a modern console. I had a buddy that burned 60 games a disk for my dreamcast. One person did this and not a team of twenty people. There are more older gamers today than there have ever been, and something as simple as VC is a easy please for the audience that appreciates it. Only Pokemon Rumble World for me (already downloaded and played it a bit actually). Etrian Mystery Dungeon looks interesting, but Story of Seasons has sucked me in and likely will continue to do so for some time lol. Already downloaded Pokemon Rumble World (meh). Might get one of the Xenoblade themes, but won't get XC3D for a while because I don't have a New 3DS. Definitely getting Captain Toad: Treasure Tracker, and Pikmin 3 in the eShop sale. I'll definitely be getting Affordable Space Adventures, but I hope people don't overlook the discount on Tetrobot and Co. It's a great little puzzle game and well worth 3 bucks. Really? This site reviewed it earlier in the week, and there are several that are very easy to find. You actually have to use search engines sometimes. @WebHead me too, I was looking forward to it all week! @leo13 Thanks! I think I might get that, since I have a N3DSXL I might as well. Oh, man. I bought Runny Egg as soon as I saw that Tom Create developed it. Those guys can do no wrong. @dkxcalibur If you're still wondering, MH4U is around 20 000 blocks if I recall correctly, by far the biggest game I have on my 3DS, but I've still got plenty of space with just a 16 GB card. I imagine Xenoblade Chronicles will be at least as big if not bigger though. damn, whats with the lack of 3DS virtual console games? Maybe a home theme. I just plopped down ~$140 on games this week, so a lot of these games are hitting the wishlist. Can't wait to try Xenoblade tomorrow. I didn't want to believe it, but maybe 3DS Virtual Console really is dead after all? I would LOVE to buy Etrian Mystery Dungeon right now! However...I can't do that in good conscious, as I know that in like 2 months or less, I can probably save over 50% on it in an EShop sale. So, I'll be waiting on that one. Rumble World is fun, though. I just bought Runny Egg because something about the gameplay reminds me of old school Sonic. Plus, egg puns. Also the delicious egg puns. Would pick up Tomodachi Life too but I'm just short of a few dollars and really can't afford to load up $10 into the eshop right now. Dang you got a ton then cuz i have a bunch of retail titles and still have like 300k left. The Atlus games have taken a large chunk of my space. For that price I picked up Tetrobots since I have had my eye on that game for awhile. Wow what a bad week. Just the free Pokemon game for me. Affordable Space Adventures and Xenoblade 3D(Physical) for me. Tetrobot is a real quality puzzler I need to recommend especially for the sales price. If you liked the high quality level of puzzle games like Art of Balance, Pullblox World, The Swapper or Toki Tori then now's the time to pick up the underdog Tetrobot, Neko's best release so far. Top design, content, and presentation. Getting Xenoblade 3D physical tomorrow! Aw yeah! Other than that nothing. Just got done playing Affordable Soace Adventures. That game is so much funner than it looks. And that's saying something because it even looks fun. Ya, this game is REALLY awesome. Anybody interested in swapping something for my club nintendo platinum reward? I'll take either cash or some game downloads from the final list of club nintendo rewards. Open to all. Wow, good sale on Tetrobot. I loved it at full price. Nice Wii U adapation too with the Wiimote pointing or screen touching. I HIGHLY recommend it to anyone that enjoys puzzles, especially the classic box moving kind. Nintendo's having a Spring eShop Sale! Can't just ignore it. @Seanmyster6 Well, something is messed up since we have not gotten any new VC games since the Donkey Kong Land games, and we have not gotten a new system added to the VC since the Game Gear in 2012. For whatever reason, the 3DS' Virtual Console is treated like garbage by Nintendo while the Wii U keeps getting all the VC games. I own a Wii U, so it does not bother me as much. But in all honesty, GBA and DS should have been exclusives to the 3DS' Virtual Console. At this point, the 3DS' Virtual Console has 4 platforms on it compared to the 7 that the Wii U has. What really shocks me is that Nintendo is letting the Virtual Console die on the platform that is more successful. @sweetiepiejonus Well let's see between like 7 of them they take up 130k all by themselves. Add Xenoblade to that and my top 8 equal over 160k. I only have 2 Atlus games dl'ed as most of them are retail. Just the most recent EMD and CoP. 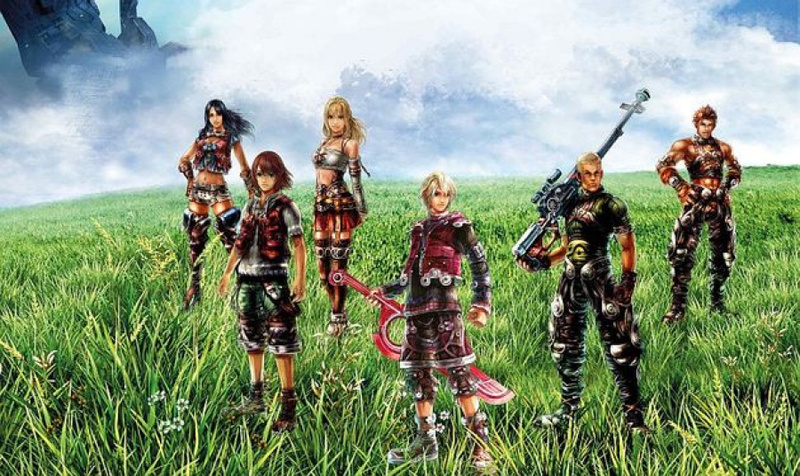 BTW Xenoblade is the best RPG ever made. Hands down! What ever happened to that Horse Racing Solitaire game from our Pokemon friends I want it! what nes/gb games are left to put up there? For 3 bucks, Tetrobot & Co. is a steal. A strong recommendation for a really great and tough puzzler. @soma I got to spend a few hours with it last night and it is great fun. The title and trailer would lead you to believe that it is an endless runner game, but it is very much a platformer with an emphasis on speed. I'm loving it, and at the price it is a definite steal. getting wario ware this week but i think i will get ASA next payday.